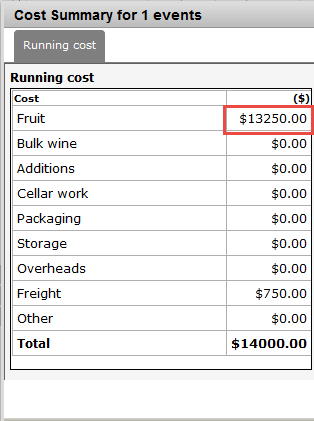 If you bring up a wine that was extracted from this fruit in the product overview and click on “History”, there should be an entry in here for the “Delivery intake” for the fruit. 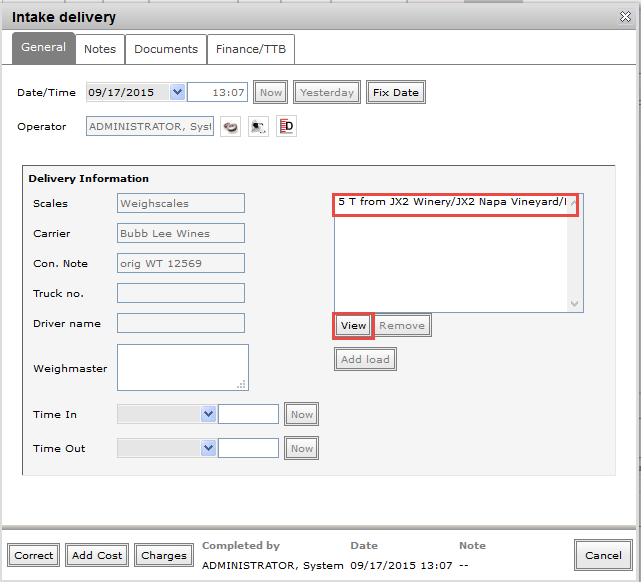 Click the “View” option on this and it will take you into the delivery information which includes a list on the right that will show the fruit intake code and the tons for each of the different fruit loads received in the delivery (in most cases it will only be one entry). Click on the entry to highlight, then click on the “View” button. This will take you into the fruit intake details. This will take you into the delivery details screen. 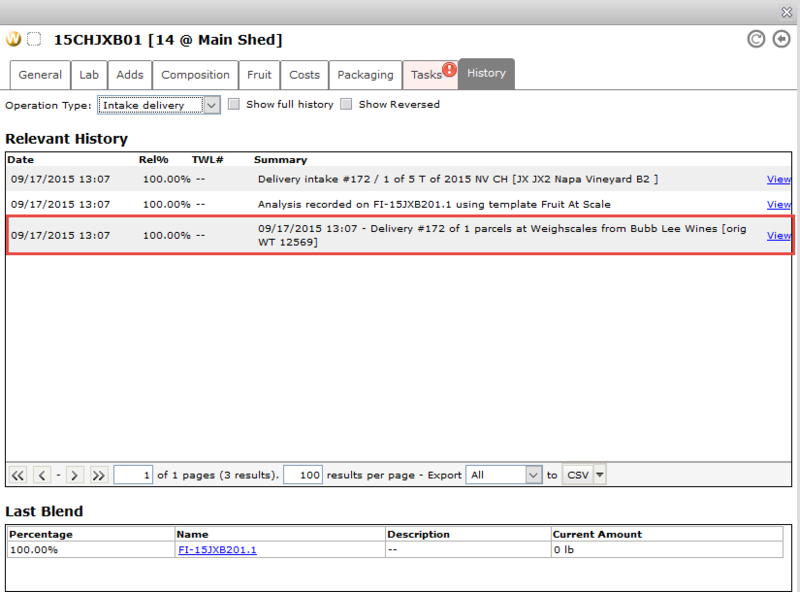 Click on the Parcel of fruit in the list and then click the ‘View’ button to see the details of the fruit. Click on the “Adjust Cost” button in the bottom left corner. This will bring up the current recorded costs for the fruit intake. 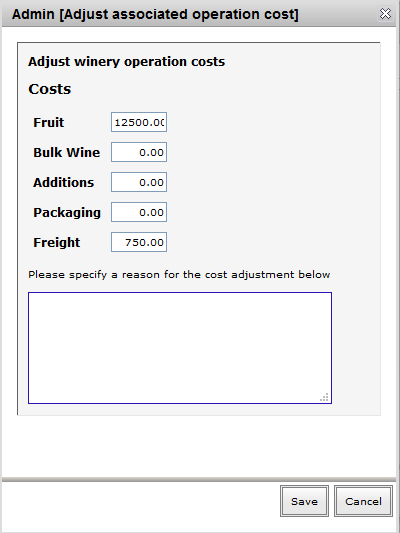 What you’ll need to do here is put in the corrected total cost of the fruit into the “Fruit” field, put in a reason (e.g. “forgot to include cost at intake”) then click on Save. The cost information will then flow through to any wines that were extracted from this fruit (even if the wine has been blended). 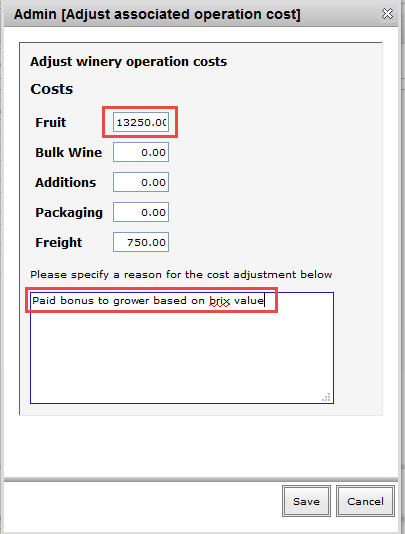 How do I upload fruit costs after harvest?